Rc Spl/TB/2015 Holidays to Schools on 20, 21st due to Pushkaralu in AP. Rc. 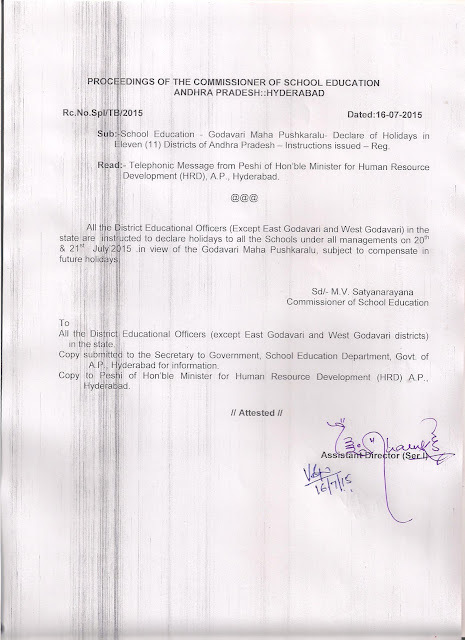 No.Spl/TB/2015 Dated 16.7.2015 Godavari Maha Pushkaralu - Declare of Holidays in Eleven Districts of AP - Instructions - Issued.